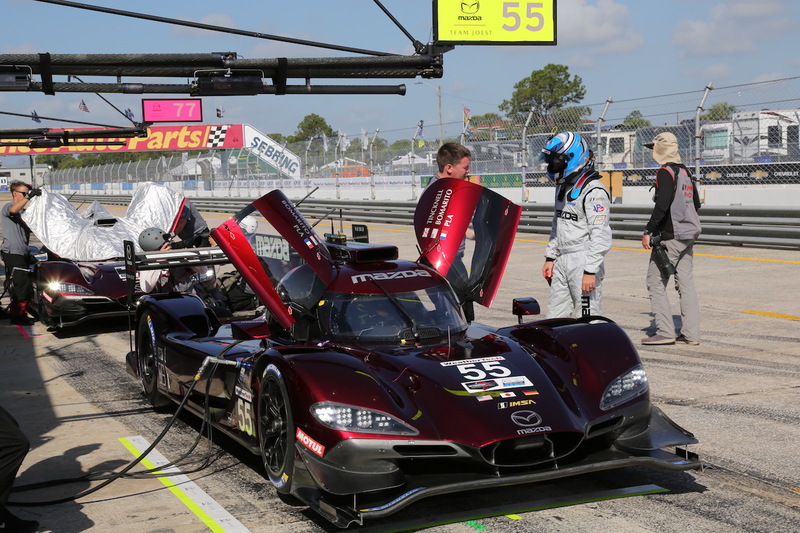 Round 2 of the IMSA WeatherTech SportsCar Championship, the 12-hours of Sebring, was held at the Sebring International Raceway in Florida on March 16th (Sat), where the two Mazda RT24-Ps from Mazda Team Joest both completed the race despite encountering various obstacles. 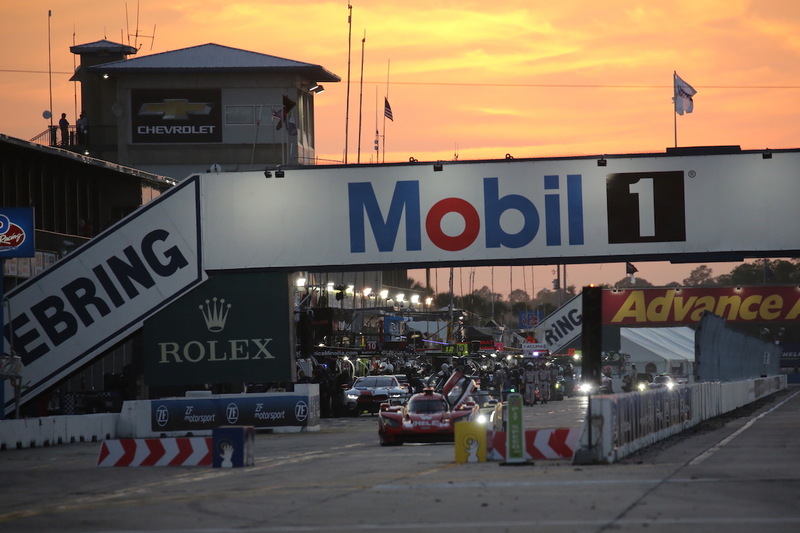 The 12-hours of Sebring, a legendary endurance race that was held for the 67th time this year, is known as a challenging, tough race. 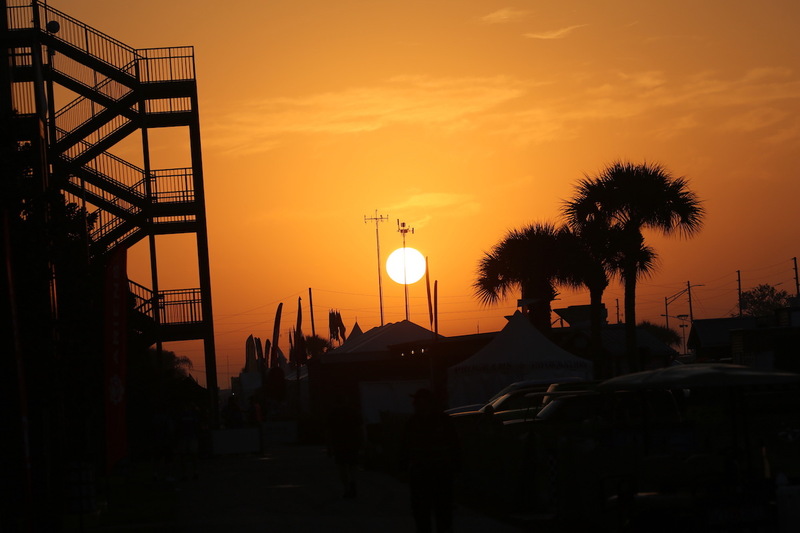 This year’s race week was blessed with good weather until Friday, when it was met with rain from early in the morning on race day. 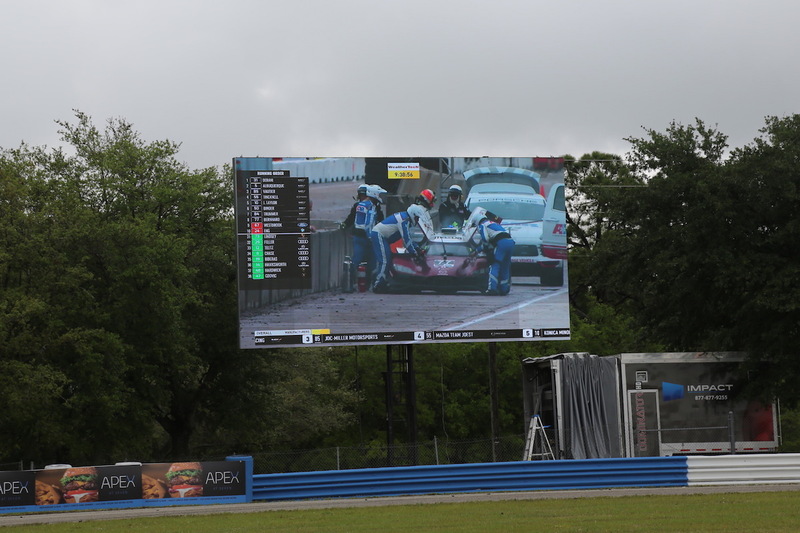 The race started behind the safety car and the situation did not improve much until 40 minutes had passed. 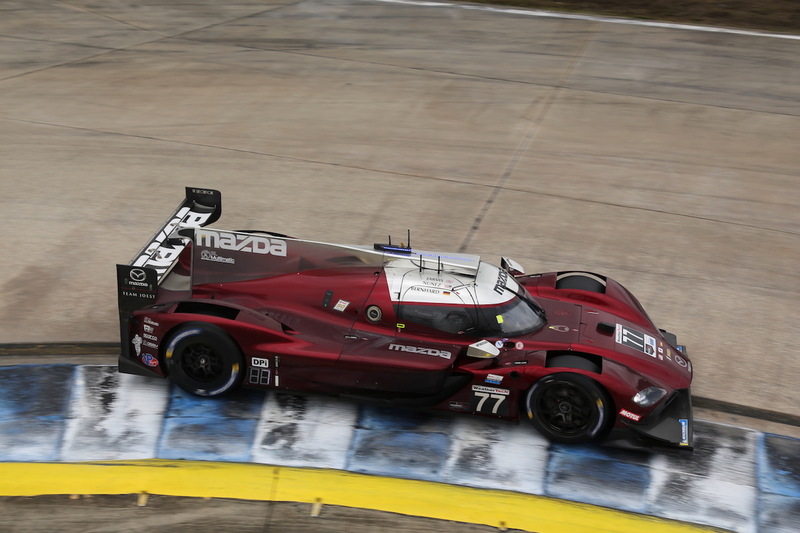 The green light was flashed at 11:20am and each car launched into competition speed where the #77 Mazda RT24-P, that started from the front row driven by Tristan Nunez, took the hole shot at the first corner. After that, Nunez drove conservatively and settled into 3rd place to avoid taking unnecessary risks before changing drivers to Timo Bernhard. 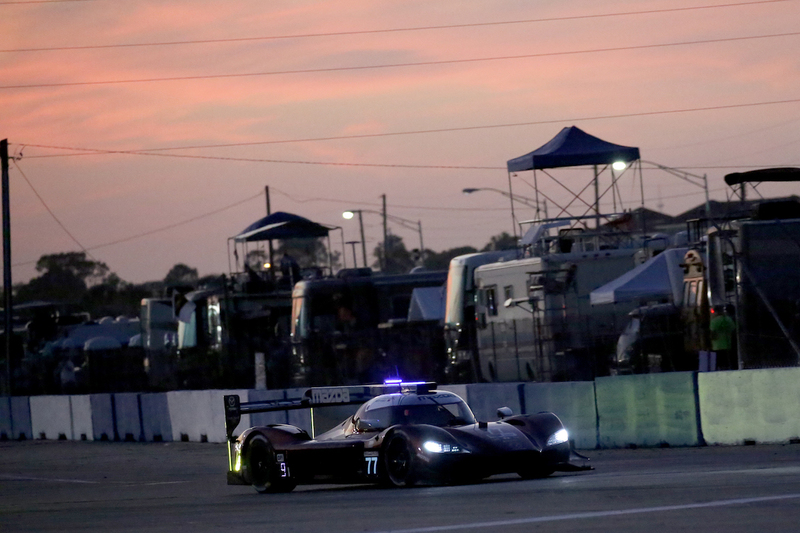 Bernhard drove at a fast pace but stopped on the track two hours after the start. After official firefighting work was carried out the car was returned to the garage. The origin of the problem was a short in an electrical cable. 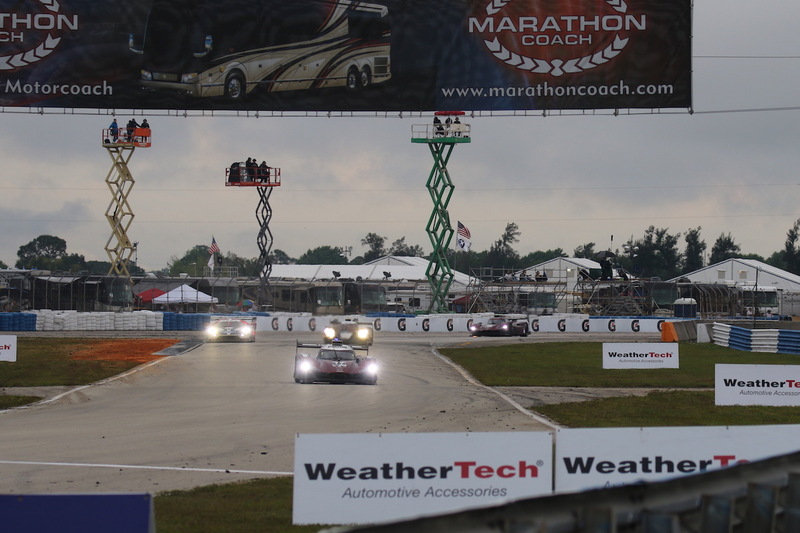 It took time to trace the wiring, locate the short and repair it, but the car returned to the course at the midpoint of the race. It received the checkered flag in class 11th. 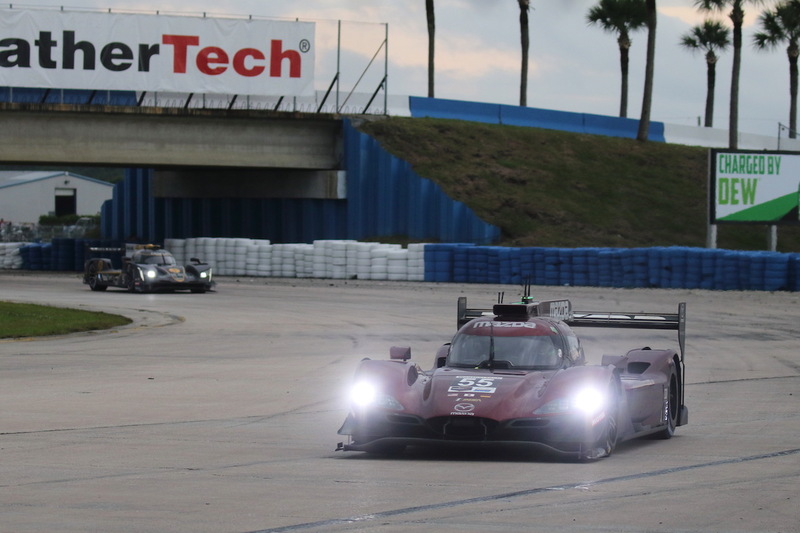 Bernhard, Oliver Jarvis and Nunez were at times as fast as the top cars, with Nunez recording the third fastest lap at the end of the race. The No. 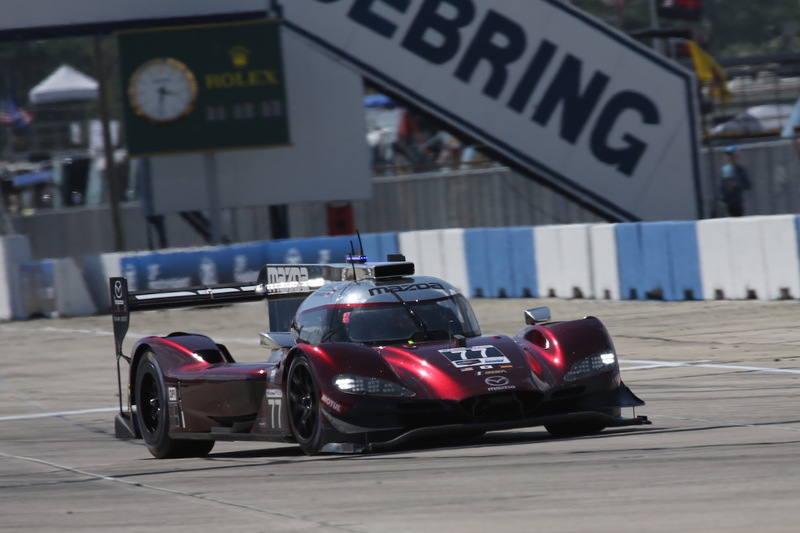 55 Mazda RT 24-P, which started from 7th on the grid, fell behind by 1 lap in the early stages, but regained pace and moved up to 2nd place before reaching the position of the temporary race leader before going into the pits. 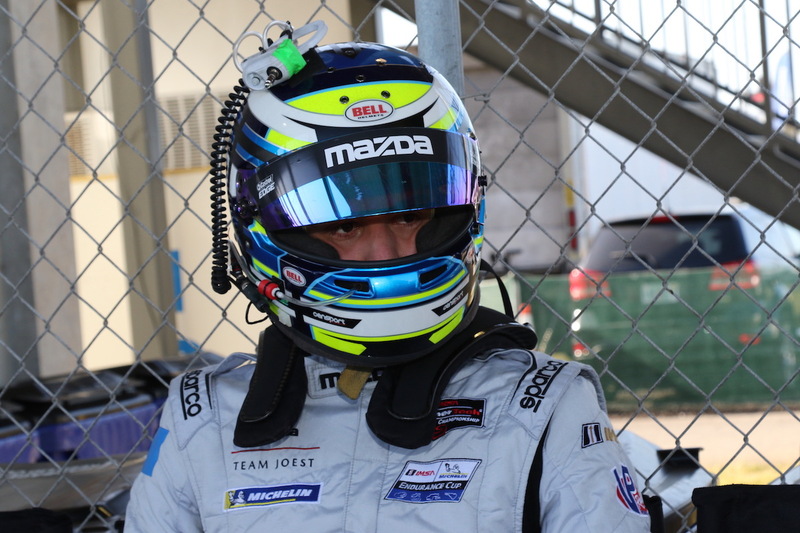 However, Bomarito lost control and hit the tire barrier just before the race reached its mid-point. The team changed the nose in the pits and lost 3 laps. However, Olivier Pla and Harry Tincknell No. 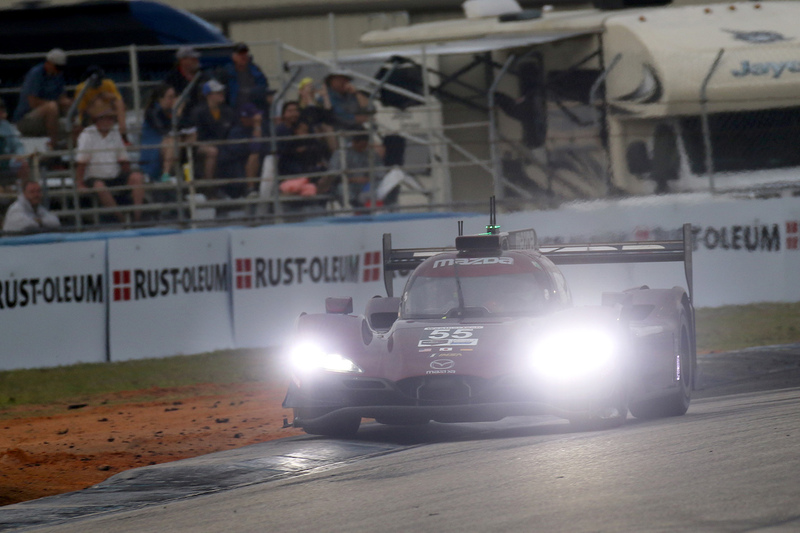 55 recovered 1 lap, and in the 10th hour, Tincknell recorded a fastest lap of 1’47.472. 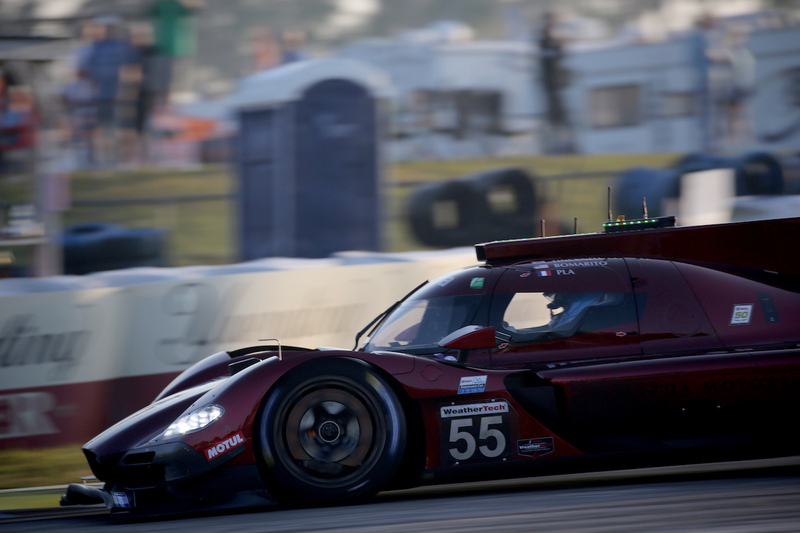 Despite this, there was a long caution period and the #55 wasn’t presented with any further opportunities to recover places and finished in 6th. 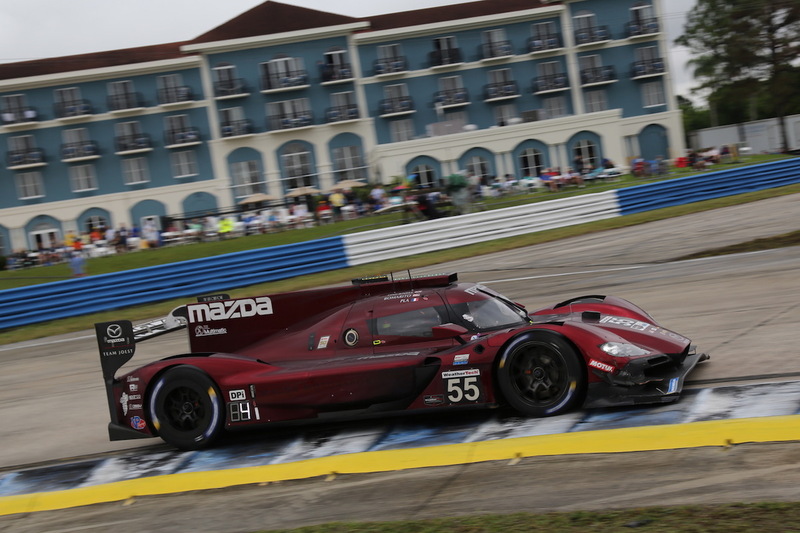 #55 Bomarito related, “We had the speed in our Mazda RT24-Ps, so it’s unfortunate that we weren’t in a position to compete for victory in the closing stages. We had to carry out irregular pit work due to my mistake and I feel bad that this resulted in such a big time loss, but the crew made really quick repairs, and my teammates Olivier and Harry were able to recover at an incredible pace. 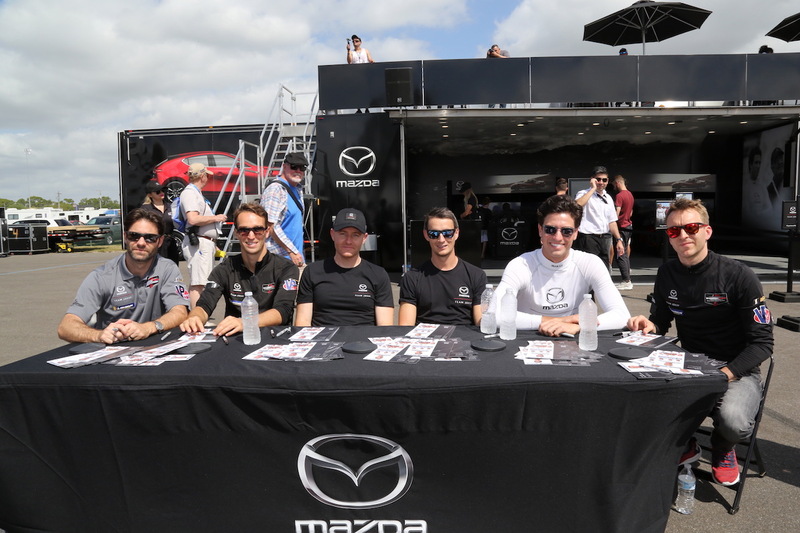 I’m really impressed by their performance.” Pla and Tincknell will not rejoin the team until round 7, the 6 Hours of Watkins Glen. 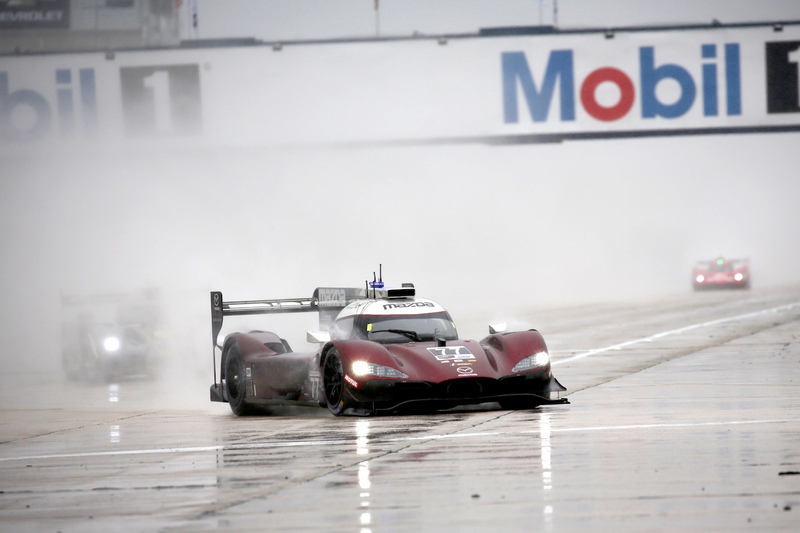 Round 3 of the IMSA WeatherTech Championship will be held on April 13th (Sat) at Long Beach, California.